Let us take a trip to central Finland. On the Bay of Bothnia, you will find the city of Oulu. This city has seen the birth of many heavy metal bands including Burning Point. Burning Point was founded in 1997 by original bassist Jukka Jokikokko and guitarist and original singer Pete Ahonen. In 2013, Pete asked Nitte Valo, formerly of Battle Beast to collaborate on a few songs and eventually asked her to join the band on a permanent basis. As of this moment, Burning Point has 7 releases with the 7th being “The Blaze” releases in 2016. In addition to Pete and Nitte, the band is rounded out by Pekka Kolivuori on guitar, Sami Nyman on bass, Jussi Ontero on drums and Jarkko Välsänen on keys. 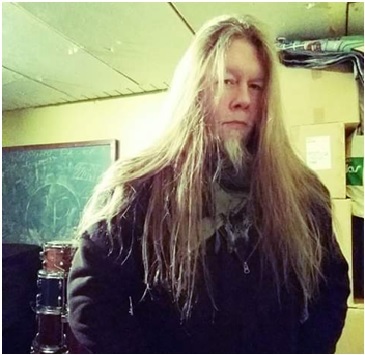 Metalheads Forever is honored and proud to have amongst our membership, founding guitarist Pete Ahonen. You will see him post now and then if you are a member. MHF wishes Burning Point continued growth and success for 2019.